This means having the right people with the right skills and the right experience and understanding, who can make a difference! This means assessing how everyone communicates and whether they communicate effectively – both internally and externally! Internally – how do you manage the services and solutions that you then ultimately deliver to your customers? Are you really utilising your people in the right way? Are these resources correctly aligned – so they can do their jobs in the most effective and efficient manner? How involved are they in all the necessary processes? Do they feel involved? Do you ask them? Do they have everything they need to operate in the most efficient way? How much duplication of effort or wasted resource is there? 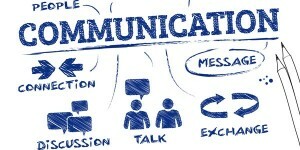 Do your staff communicate horizontally or vertically throughout your organisation? Do they share knowledge, skill sets, expertise? Externall y – how do you manage the communication with your customers? How frequently do you engage with your customers? How do you WANT to engage with them? Are you delivering the optimum level of service to them? How do they view the service they receive from you? How do they want to receive the services, solutions or products from you? How often do you ask them? What communication platforms do you use? How, where, when and why? Are you using Social Media? If not, would you benefit from using this methodology?